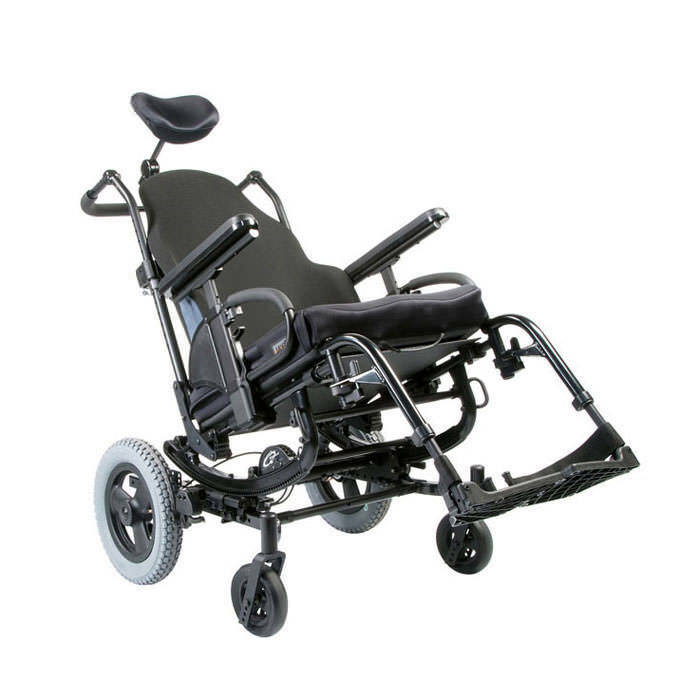 Quickie SR45 tilt-in-space manual wheelchair smart choice for intelligent rotation, adjustability and durability. 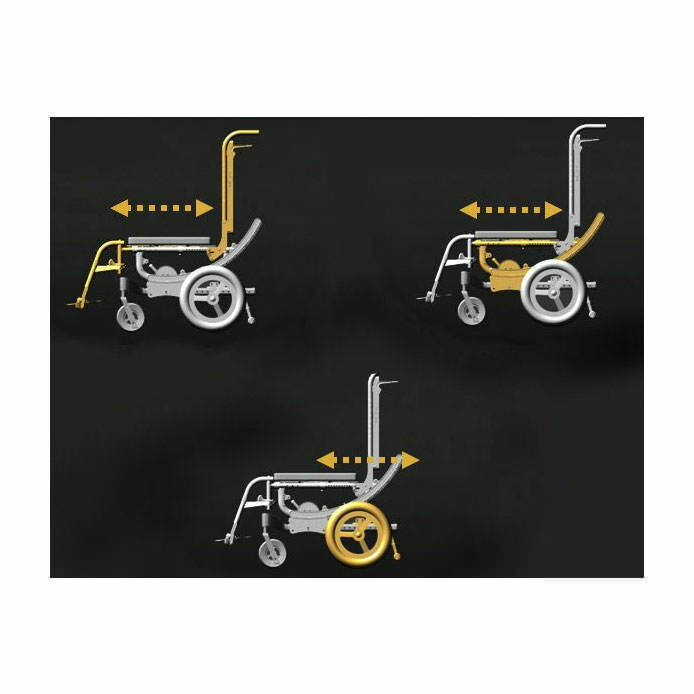 SR45 manual wheelchair features 45 degrees of patented and proven rotation-in-space technology. 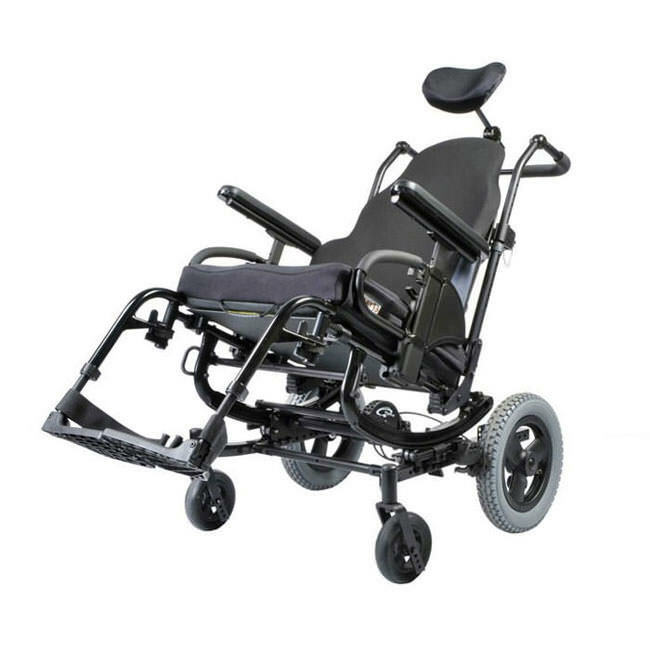 SR45 wheelchair has a durable base and a streamlined targeted offering of key clinical options. SR45 wheelchair axle is available in two styles: quick-release for optimum speed and chair transport, and threaded for applications where accidental axle-release by the user is a potential safety concern. 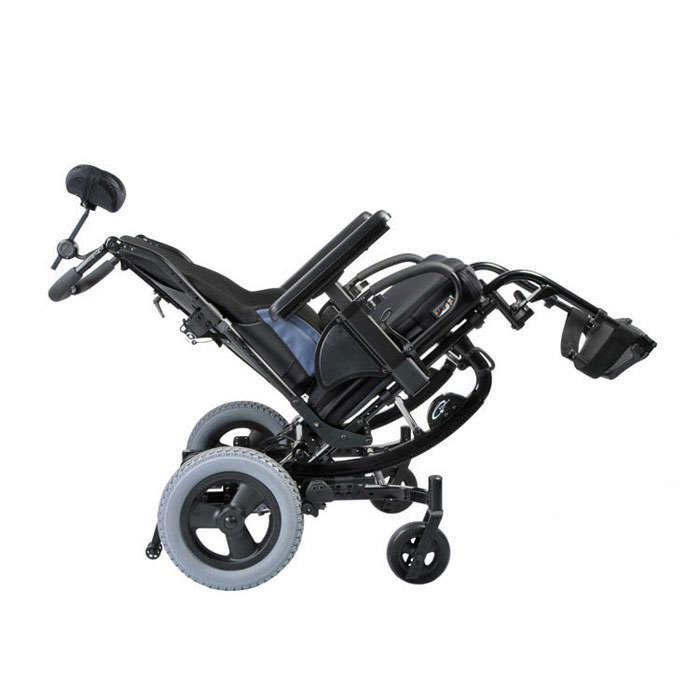 SR45 tilting wheelchair is outfitted with a new style of quickie footrest hanger specifically designed to reduce hanger "play" - whether this is out of the box or after a year of hard use. The transit approved tie-downs on the SR45 feature a slim super strong wire-loop design. 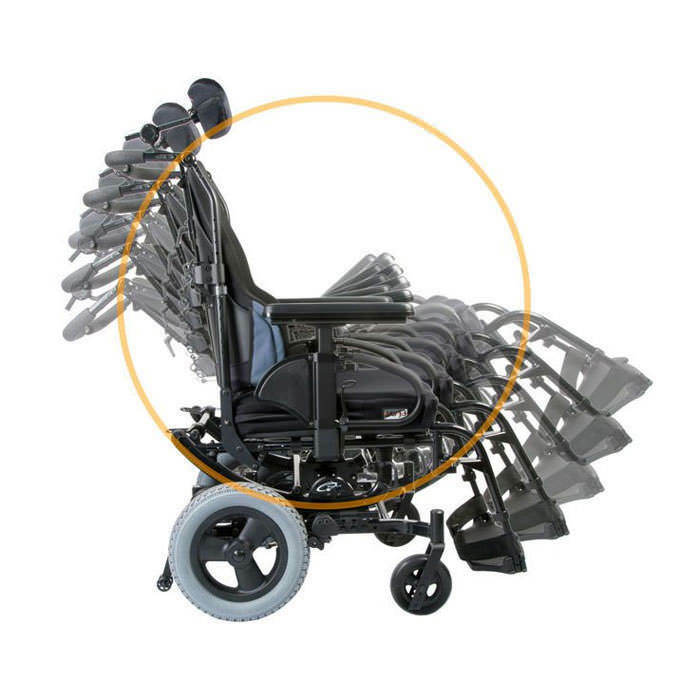 Intelligent Rotation In Space (IRIS) technology eliminates long wheel-bases and a complex mechanical tilt mechanism by rotating the seat frame around the user's center-of-gravity. SR45 tilting wheelchair features key components required in a rotation-in-space chair. These include: 45° of tilt rotation, seat depth adjustment, transit option, foot or hand tilt-rotation release, and multiple types of backrests and armrests. SR45 tilt-in-space wheelchair tests beyond the industry ANSI/RESNA testing requirements to ensure lifelong durability. User weight capacity is 265 lbs. Product width 14" - 20"
Product length/depth 14" - 22"
Overall width 22" - 33"
Rear wheel options 12", 16", 20", 22", 24"
Mounted on right side of frame. -- Please Select --Short seat frame 14"-18"Medium seat frame 16"-20"Long seat frame 18"-22"
Not available with hand rims and full poly tires. Not available with hand rims. Only available with pneumatic or pneumatic with airless insert tires. Not available with low poly tire. Not available with 12" and 16" Mag wheels. Only available with 12" Mag wheel. 12" and 16" wheels not available with handrims. Only available with aluminum angle adjustable footplates. Only available with front mount aluminum angle adjustable footplates and 14"-22" width. Not available with 8" casters. Not available with 14", 15" seat To floor height, not available with 80° hangers and 8" casters. Not available with elevating legrest. Not available with height adjustable back. Not available with reclining backrest. Not available with 22" deep frame. Single post height adjustable armrest only.